Connecting GeoStix™ allow students to delve into plane geometry. Great for hands-on activities such as perimeter, area, identification of shapes, spatial reasoning, similar triangles that share a side, parallel lines cut by a transversal, show examples of angle bisectors that form perpendicular angles to opposite sides and more. 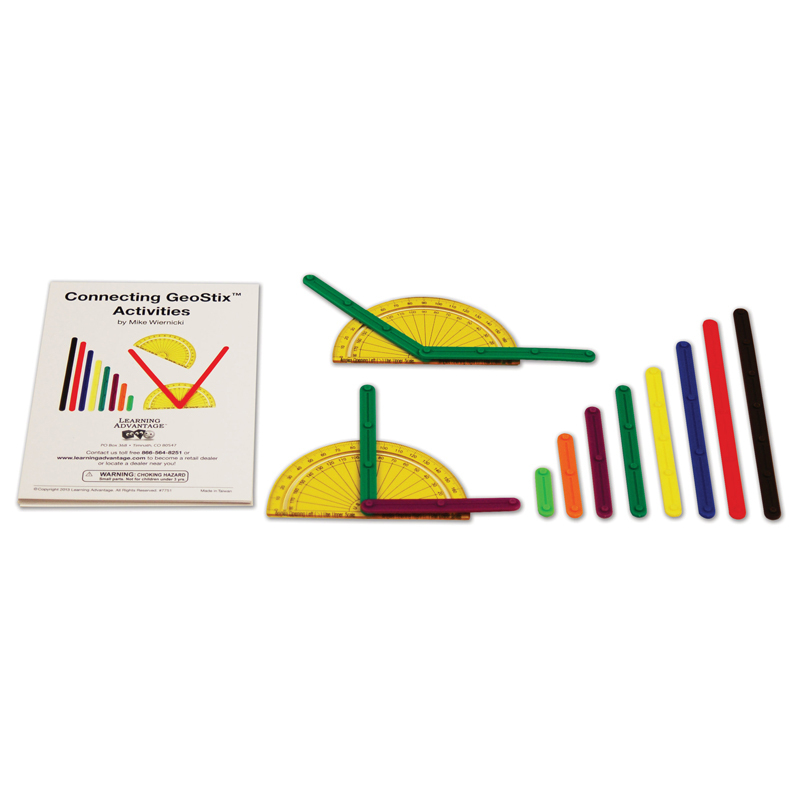 82 piece set includes 2 protractors and GeoStix in 8 different lengths (1" to 6").